The 1,400MW St. Joseph Energy Center will be developed in two phases. Image: courtesy of Toyota Tsusho. Siemens will supply two SGT6-5000F gas turbines for the Phase I. Image: courtesy of www.siemens.com/press. The Phase I will also be equipped with an SST6-5000 steam turbine. Image: courtesy of www.siemens.com/press. 62% of the project is owned by Ares EIF Group, a subsidiary of Ares Management, 18% by Development Partners Funding and 20% by Toyota Tsusho St. Joseph II. The CCPP project will be split into two phases comprising of two 700MW plants each. The output from Phase I will be capable of serving approximately 450,000 households and is expected to generate approximately 500 jobs during the construction phase and 25 permanent jobs when it comes online in the first half of 2018. The project site covers an area of approximately 165 acres. The construction of a diesel fire pump foundation, as well as the surveying and geotechnical studies were completed in late-2015, whereas the earthworks were initiated in early-2016. Siemens will equip the Phase I power plant with two SGT6-5000F gas turbines, one SST6-5000 steam turbine, as well as three SGen-1000A air-cooled generators. Phase II will involve the installation of equal number of gas turbines, steam turbine and air-cooled generators. The waste heat from the gas turbines will be used to power the steam turbine and for generating additional electricity without using more fuel. The heated water, which is the by-product from the process, will be cooled in the cooling towers and will be cycled back to feed the power plant. The entire output from the Phase I will be supplied to PJM, a regional transmission organisation (RTO) that serves all or parts of the 13 states in the north-eastern US as well as in Washington D.C.
To facilitate the connection with the grid, the project will involve the construction of a new substation interconnecting with American Electric Power’s (AEP) Dumont – Olive 345kV line. The new substation will be equipped with three 345kV circuit breakers, a 345kV revenue metering system, supervisory control and data acquisition (SCADA) system, and associated equipment. The ownership of the inline facilities will be transferred to AEP upon completion of the construction works. 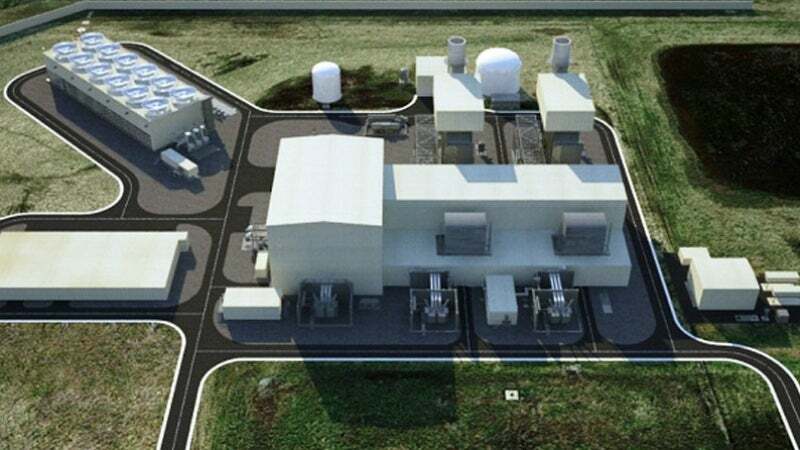 The 700MW Phase II power plant is proposed to interconnect with the Midcontinent Independent Transmission System Operator’s (MISO) regional transmission system at Northern Indiana Public Service Company’s (NIPSCO) Stillwell substation. "The overall investment in the project is estimated to reach $500m." The overall investment in the project is estimated to reach $500m, which will be financed through both equity and debt. Ares EIF Group will contribute 80% and Toyota Tsusho will contribute 20% of the equity capital. BNP Paribas and Credit Agricole are arranging non-recourse debt financing for the project, while Siemens Financial Services has also agreed to support the project with a commitment of $50m. The engineering, procurement and construction (EPC) contract for Phase I was awarded to Kiewit Power Constructors in August 2015. Siemens, the equipment supplier and one of the financiers for the project, will also be involved in providing maintenance services for a period of 25 years. It will manufacture the generators and gas turbines at its Charlotte Energy Hub.